Rishad Premji, chief strategy officer and board member of Wipro Ltd, was appointed as chairman of IT industry body Nasscom (National Association of Software and Service Companies) for 2018-19. Mr Premji succeeds Raman Roy, chairman and managing director, Quatrro Global Services, who served as chairman of Nasscom for 2017-18. On Mr Premji's elevation as the chairman, Nasscom tweeted and announced, "Pleased to have Mr. Rishad Premji- Chief Strategy Officer, @Wipro on board as the Chairman of NASSCOM. We wish him all the best & support for the journey and his efforts to take NASSCOM and the technology industry to greater heights," tweeted Nasscom, a trade association of the Indian IT BPM industry. Keshav R Murugesh, CEO of WNS Global, was appointed as vice chairman. 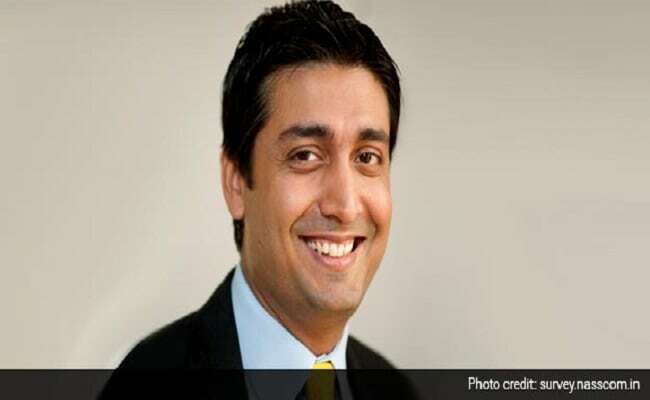 Rishad Premji has been a member of Nasscom’s Executive Council and was the vice chairman for 2017-18. Chairman Rishad Premji, along with vice chairman Keshav Murugesh and president Debjani Ghosh, will lead NASSCOM to carry out its diverse array of priorities to achieve the 2025 vision for the industry, Nasscom said in a statement on Tuesday. Welcoming the move, Mr Premji, son of Wipro chairman Azim Premji, said, "I am honoured to have the vote of confidence of the NASSCom leadership team as we stand on the cusp of a digital transformation. I look forward to working closely with Nasscom's multiple and versatile teams, and continuing our endeavours to foster growth in changing times." "We live in interesting times for technology that present a huge opportunity for growth," Mr Premji added. “Rishad is an experienced leader whose accomplishments speak for themselves. With his unique exposure and new age energy, he is uniquely qualified to help lead the industry in a time of change and opportunity. I am confident that this development will benefit not only our organization but the industry as a whole," Ms Ghosh said. Since joining Wipro in 2007, Rishad Premji has been instrumental in shaping Wipro's strategy and aligning it with the future business landscape. 'We live in exciting and interesting times for #technology that present a huge opportunity for growth'. Prior to joining Wipro, Rishad worked with Bain & Company in London, working on assignments across consumer products, automobiles, telecom and insurance. He also worked with GE Capital in the US across several businesses throughout the Insurance and consumer lending space and is a graduate of GE's Financial Management Program (FMP). Rishad holds an MBA from Harvard Business School (HBS) and a BA in Economics from Wesleyan University in the US. He has also spent a year at the London School of Economics where he was part of the General Course Program. In 2014, he was recognized as a Young Global Leader by the World Economic Forum for his outstanding leadership, professional accomplishments, and commitment to society.